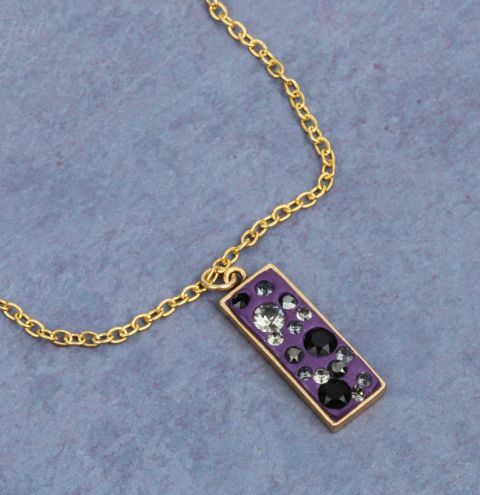 Make a gorgeous sparkly pendant necklace with NEW lilac Swarovski Ceralun clay! Follow the instructions in your Ceralun kit to make your pendant, add the crystals and let it set completely. Finish your design by attaching a jumpring to your pendant and your gold chain!